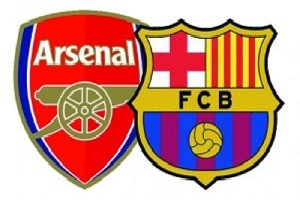 Arsenal will play against Barcelona in The Champions League 1/8 finals. Arsenal is a good team. They have a really good chance to win the Premier League this season. In the CL is another case. The Gunners won just nine points as well as Olympiacos, but they managed to win the second place. Barcelona won his Group E and they will win the Spanish Primera Division. Neymar, Luis Suarez and Leo Messi is the best forward lineup in the history of football and they should win this game without a problem. I see a high scoring game, where Barcelona will show what they are capable of and win with at least two goals difference.